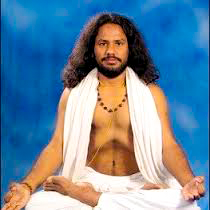 Dr.Sushil Yogi is Founder and Course co-ordinator of Chandra Yoga International Yoga School Rishikesh, India. Dr. Sushil Yogi is a highly qualified yoga teacher, he is Ph.D. in Yogic Science and also has 2 years masters degree in yogic science. Dr. Sushil has been teaching and practicing yoga for many years all around the world and enjoys sharing his love for yoga and meditation with all his students. He teaches from the heart bringing the joy of yoga and meditation to all his students. Dr. Sushil looks forward to welcoming you to her classes and guiding you on the journey that is yoga!